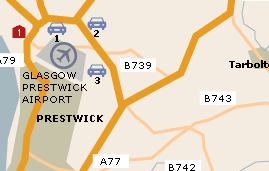 Airport Parking offers a wide range of options for parking at Prestwick Airport. With both on and off-airport options, there will be something on offer to suit every need and budget. For a quote please click here. So as well as being a more convenient option, it may also be easier on your finances. To view the hotels on offer at Prestwick Airport and get a quote please click here. 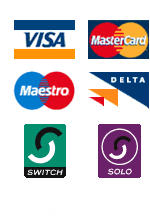 Cash points accepting all major cash cards. There is a taxi rank outside the terminal building. There are lifts to help with access to both floors of the terminal and the railway station. A stair lift is available for access to the Aviator Suite. Disabled toilets can be found on the ground floor and in the departure lounges. There are several places to buy hot and cold drinks and snacks in the airport, in the main hall and the departures lounge. Alcoholic beverages can be purchased in Alloway's Bar.The Food Village is located on the ground floor of the terminal.